First, I want to apologise for this Sunday post not being a Friday post. I tried my best but I was away from home and had bought the wrong camera cable with me. I don't know where this other cable came from, but it was one of those awful ones that are only for one thing and yet you have dozens of them. All the pictures were right there waiting but I couldn't get to them! In absence of the photos for what I wanted to write about, and in keeping with it being Mother's Day recently, here's the birthday present that I gave my mum last year. 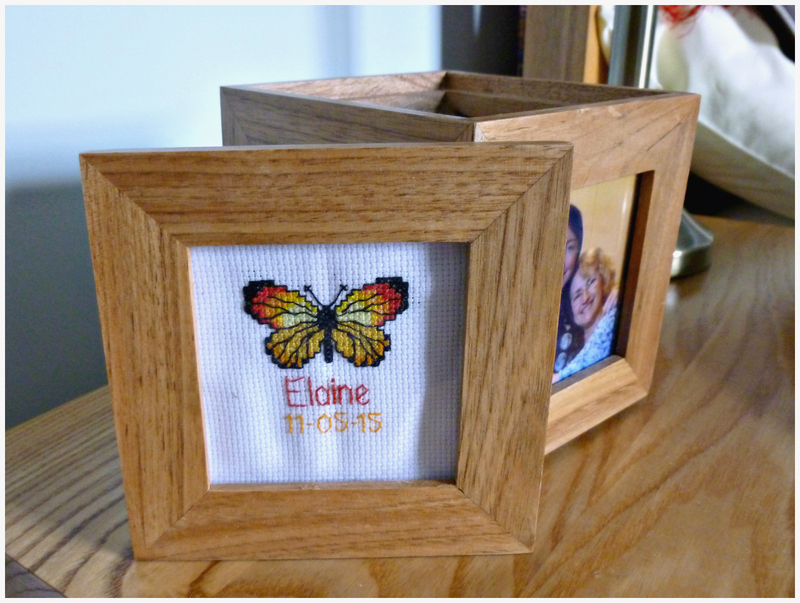 It's a 15cm wooden cube with a photo on each face, except I did a little cross stitch for the lid. 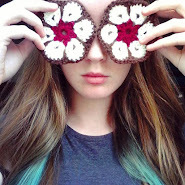 The butterfly pattern can be found here (in the bottom left corner.) I love this chart because they're all different shapes and sizes, you can just switch the colours around to what you want.